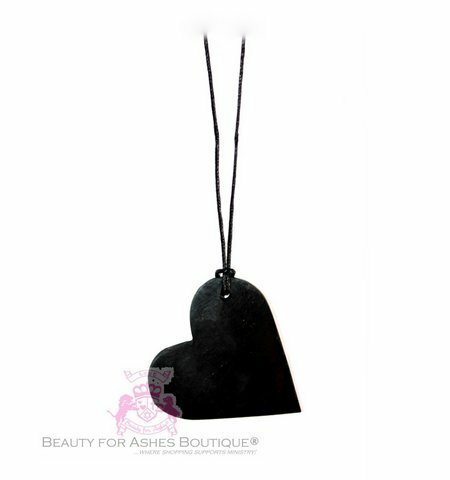 This hand-carved heart out of natural Shungite measures about 2" in diameter. The Shungite stone comes only from Russia and has a natural amount of carbon. Carbon is used for detoxing negative particles and heavy metals, to name a few. The Shungite stone has been known to absorb negative EMF Microwaves and magnetic waves, turning it into something positive, just like the carbon is used in vitamin supplements, and carbon filters for fish tanks, and gardening supplements. The necklace is 24" long on a solid black slim cord.